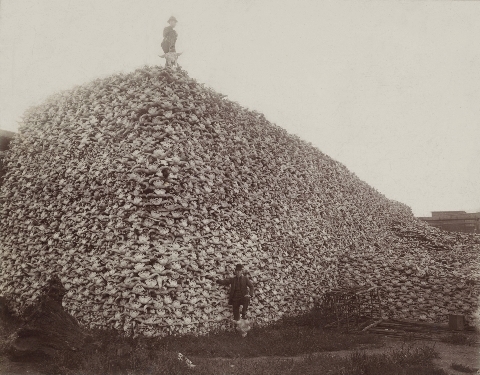 Buffalo hide hunting was big business in the 1870s. Even after the great slaughter of the herds, folks found a cash crop in the sun-bleached bones. Want to know more? Check out my February 2009 Wild West Magazine article about the dual trades of buffalo hunting and bone picking, now online here. This entry was posted in Uncategorized on May 7, 2018 by J.R. Sanders.